Stunning and Serene, a one-of-a-kind gift! 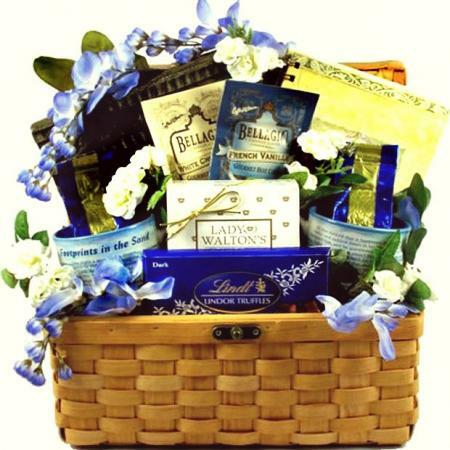 A strikingly attractive and impressive gift paired with an exquisite selection of fine gourmet food gifts. 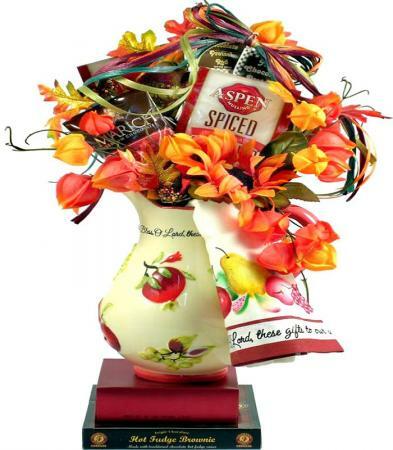 This gorgeous gift arrangement features a beautiful ceramic pitcher that can be used as a planter or for serving beverages during dinner; it would make an excellent gift by itself. This pitcher, however, arrives artfully arranged with a selection of fine gourmet gifts and a matching tea towel! Hand Painted Tea Towel With "Bless, O Lord, These Gifts To Our Use." Ceramic Pitcher With Raised Fruit Design & "Bless, O Lord, These Gift To Our Use." The items included seem of great quality. The arrangement comes compacted with assembly for presentation of gift especially for it to display what is included. 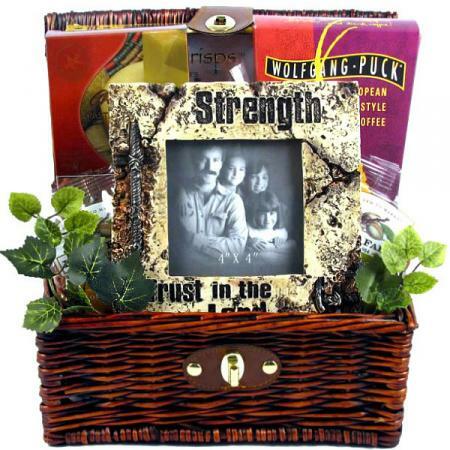 We used this as an item for a raffle or auction and I was disappointed that it does not have the abundance and look of the floral and ribbon that is displayed in the picture online. The amount of floral included is not what is seen in the picture and the only robin included is a bow. It was a lot of money for having to assemble it to remotely look like the picture.